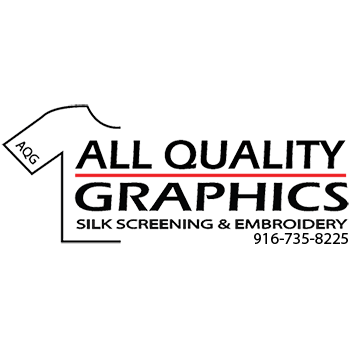 All Quality Graphics is a custom screen printing and embroidery company serving businesses, schools, clubs, teams, churches and organizations of all sizes. At All Quality Graphics we understand the importance and impact of a logo or image. A message printed on a t-shirt or garment can become a brand, catch phrase or talk of the town. A simple image or slogan can be a powerful marketing tool or inspiration in motion. We strive to bring our customer&apos;s vision to life through our creativity and attention to detail.